Oudin says that even Facebook’s simple blue and white layout can be more personalized using this cool tweak. It might not be the same over the top personalization of sites like MySpace and Bebo, Oudin’s hack showed that there are still new, innovative and creative ways to express yourself on Facebook. 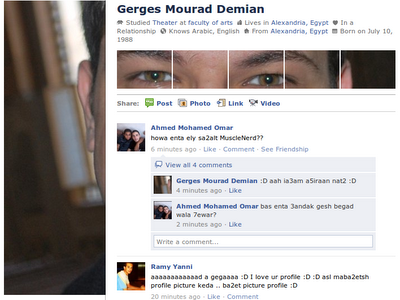 Here's an example of Gerges Mourad's profile page for this cool hack.